Informative and encouraging, Defeating Dementia is a helpful resource for those who want to know more about dementia and its many forms. Dispersing medical research and scientific findings with personal experiences, Dr. Furman helps readers gain a greater understanding of Alzheimer’s disease and related dementias. Pointing out the correlation between our lifestyle choices and the likelihood of various forms of dementia, Dr. Furman offers measures that can be taken to prevent dementia, as well as slow the process if it has already begun. “Every one of us is affected today in some way by Alzheimer’s dementia, though clearly some much more directly than others. Current trends suggest those connections will grow closer and more painfully personal with the passing of each year.” Having read this book, I am more equipped and committed to preventing this dreaded diagnosis. Dementia. It’s one of the most dreaded conditions we face as we age. Many people claim they would rather be diagnosed with cancer than dementia or Alzheimer’s. 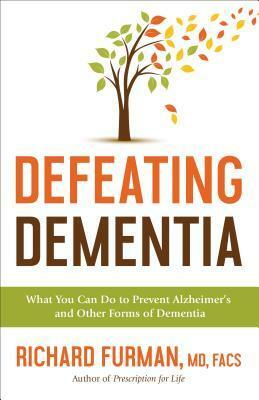 What many don’t realize is that dementia is not a foregone conclusion as we get older. Our own lifestyle choices and habits can have a significant impact–for good or ill–on our chances of developing the disease. And that means there’s hope. I thoroughly enjoyed Sacred Rest! I know many of us struggle with the hustle and bustle of daily life, and we can all benefit from a better understanding of genuine rest. Saundra Dalton-Smith, MD combines research with experience, identifying seven areas of rest in which we are deficient and offering insightful solutions for these deficiencies. 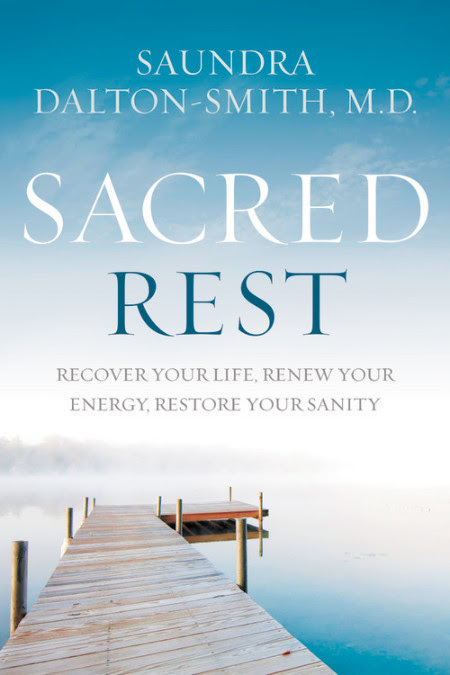 A wealth of information, Sacred Rest enlightens and encourages readers to embrace the gifts of rest in order to “recover your life, renew your energy, and restore your sanity.” What a wonderful and worthy challenge! Read what other bloggers are saying about Sacred Rest.